If it is said that the winter is black and white, the red may be ranked first, and it is also a good choice to attract attention when the whole body is black and white. Selena Gomez especially likes red scarves. The baby face is always very dull in wearing black and white gray base color. After adding red, it will be playful and will make the ordinary match become interesting. Red scarves and red envelopes, or red scarves and red shoes, echo each other and double the lighting effect. But note that novices should never exceed two, and it is easy to make mistakes. It should be noted here that not everyone is suitable for red. Moreover, red also has the distinction of cold and warm, reddish red and reddish warm red. 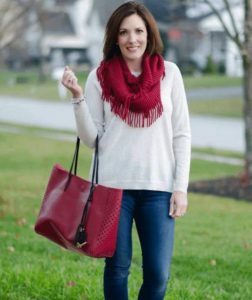 Regarding the choice of red scarf, it is best to try it in person at the store. 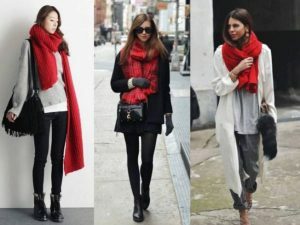 The kind of scarf that will make you look and match the complexion and look good is the best red scarf for you.